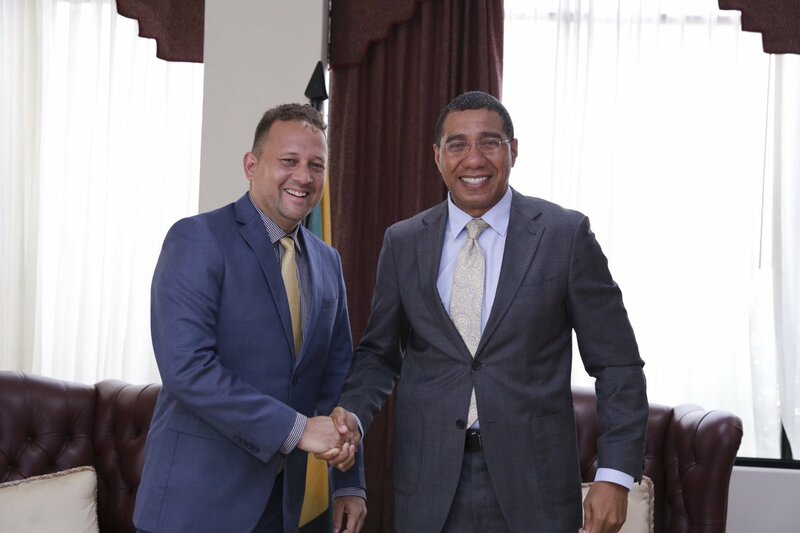 “Prime Minister Andrew Holness will be in Atlanta, Georgia, to headline the inaugural Jamaican Chamber of Commerce of Atlanta (JamCham) awards banquet, on Saturday, April 20, 2019 at 6:30pm. It will be Mr. Holness’ first visit to the Georgia capital city as Prime Minister. The event will honour members of the community with awards for Business of the Year, Business Community Service, and Person of the Year – the annual award for latter category honouring the late philanthropist, Jamaican-born Lowell Hawthorne, of Golden Krust restaurant prominence. Jamaica’s Ambassador to the United States, Audrey Marks, as well as Jamaica’s Consul-General in Miami, Oliver Mair, will accompany Prime Minister Holness to the awards banquet, where he will deliver the keynote address and present the awards. Established in 2014, the Atlanta-based JamCham seeks to address important concerns and issues with the Jamaican-American business community and the larger Caribbean community. JamCham provides networking opportunities, a stronger voice in local decision-making, and personal and professional training and development.